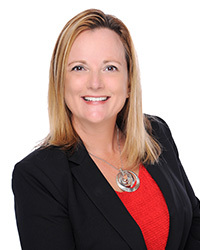 Pamela Ann Kasyan-Howe, OTD, OTR/L, EdS, received a Bachelor of Arts in Education from the University of Florida in 1993, Master of Science in Occupational Therapy from Florida International University in 1997, and a post professional Doctorate in Occupational Therapy from South University in 2016. She received an Education Specialist degree for Computing Technologies in Education from Nova Southeastern University, and completed the Certificate in Hand and Upper Quadrant Rehabilitation from Medical College of Philadelphia, Hahnemann University. Dr. Kasyan-Howe’s oral capstone defense was to develop strategies to accommodate students in higher distance education. She has clinical experience in TBI, SCI, neuro, movement disorders, dementia, acute care, work hardening, orthopedics, upper quadrant rehabilitation, and hand therapy and serving clients in acute care, inpatient, outpatient and long-term care environments. Dr. Kasyan-Howe has published and presented consistently at local, state, and national levels. She has served the profession consistently at a local level as president and recorder of Region 7 South, state level as president and recorder of FLOTEC and as fieldwork SIS for FOTA, and nationally on AOTA’s COE committee to revise the student evaluation of fieldwork experience (SEFWE). She has been an Academic Fieldwork Coordinator since 2002, in both OTR and OTA programs. She teaches OCT 5550 Fieldwork IIA and OCT 5660 Fieldwork IIB. She serves as the founding, full-time Academic Fieldwork Coordinator (AFWC) for the Miami campus.